By watching individual neurons at work, a group of psychologists at the University of Wisconsin-Madison has revealed just how stress can addle the mind, as well as how neurons in the brain’s prefrontal cortex help “remember” information in the first place. Stress has long been pegged as the enemy of attention, disrupting focus and doing substantial damage to working memory — the short-term juggling of information that allows us to do all the little things that make us productive. Working memory is both short-term (on the order of seconds) and flexible, allowing the brain to hold a large amount of information close at hand to perform complex tasks. Without it, you would have forgotten the first half of this sentence while reading the second half. The neurons of the prefrontal cortex help store information for short periods. Like a chalkboard, these neurons can be written with information, erased when that information is no longer needed, and rewritten with something new. It’s how the neurons maintain access to that short-term information that leaves them vulnerable to stress. David Devilbiss, a scientist working with Berridge and lead author on a study published today in the journal PLOS Computational Biology (open access), applied a new statistical modeling approach to show that rat prefrontal neurons were firing and re-firing to keep recently stored information fresh. Apply some stress — in the researchers’ case, a loud blast of white noise in the presence of rats working on a maze designed to test working memory — and many neurons are distracted from reminding themselves of … what was it we were doing again? Without the roar of white noise, which has been shown to impair rats in the same way it does monkeys and humans, the maze-runners were reaching their goal about 90 percent of the time. Under stress, the animals completed the test at a 65 percent clip, with many struggling enough to fall to blind chance. 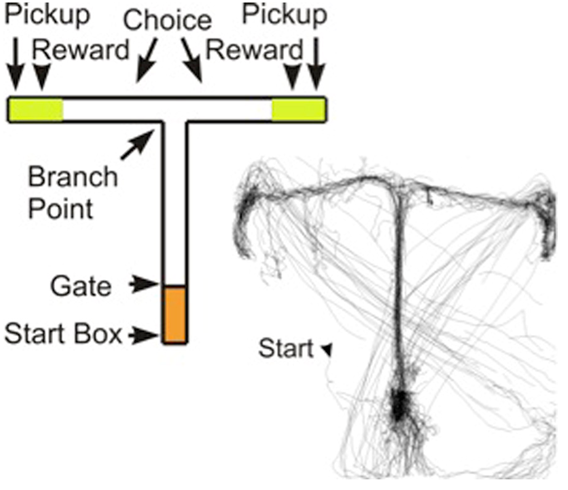 Recordings of the electrical activity of prefrontal cortex neurons in the maze-running rats showed these neurons were unable to hold information key to finding the next chocolate chip reward. Instead, the neurons were frenetic, reacting to distractions such as noises and smells in the room. The researchers’ work may suggest new directions for treatment of prefrontal cortex dysfunction.